where pikemen will assemble and march to the top Vinegar Hill. All are most welcome to join in and march along with the pikemen, particularly those from overseas whose ancestors fought in the Rebellion. At 7:30pm representatives from the different religious communities and councils will gather for a blessing which will be followed by poetry recitation and a wreath laying ceremony. 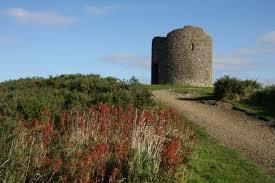 Following the commemoration on Vinegar Hill all are invited to Enniscorthy Castle for light refreshments.